Georgina is a writer, conservationist, wildlife carer, educator and nature photographer based in Western Australia. She has been a member of BirdLife Australia and an active contributor to its special interest group Birdlife Photography for many years . 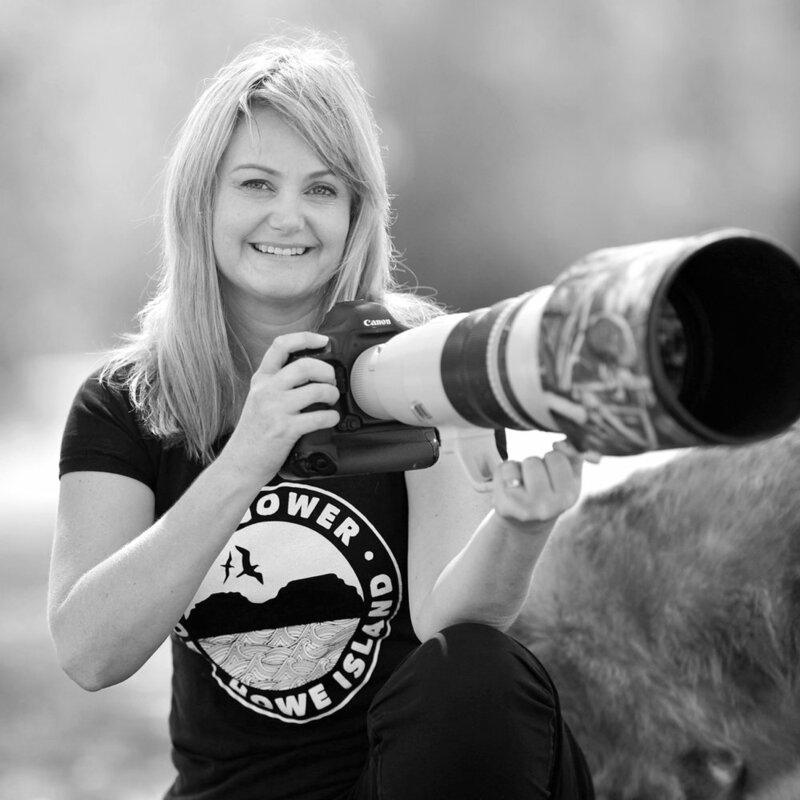 Her work has appeared in numerous publications including Bird Photographer of the Year 2017 (UK), Australian Geographic, The Australian newspaper and Australian Birdlife magazine and she supplies images, free of charge, for conservation work and scientific publications. Awards include category winner, honourable mention and finalist in the Bird Photographer of the Year competition 2017 (international), Australian Photography Awards 2017 Winner (Wildlife) and Australian Geographic Nature Photographer of the Year 2016 Portfolio Prize and finalist in 2014, 2015, 2017 and 2018. Cara is a writer and editor from Melbourne who has spent the past eight years searching for the perfect image of every Australian bird species. She is one of the founding editors of Australian Birdlife magazine and spends a large chunk of her time researching the best photos of birds from around the world as part of her day job, which also includes producing the annual fundraising calendar and other BirdLife Australia publications. In her spare time, she looks for birds, fungi, frogs and orchids and travels the world seeking adventure. She is currently dreaming about the wing-bars on female Petroica robins and non-blurry photos of Houtman Abrolhos Painted Button-quails. Wildlife photographer and cameraman Luke Massey has been awarded in the prestigious Wildlife Photographer of the Year competition for the past two years, as well as winning the wildlife category of Travel Photographer of the Year, and the title of Young Environmental Photographer of the Year in 2016. As a cameraman, Luke was part of Chris Packham’s Green Ribbon Award winning team in 2015. His work was most recently seen on the BBC Natural World Super Fast Falcon. His work has been widely published everywhere from Audubon and BBC Wildlife magazine, to The Times and Geographical. Luke is a passionate naturalist and combines his love and knowledge for wildlife in his filming and photographic work. He has travelled all over the globe documenting nature. He currently lives in Asturias, northern Spain where, alongside looking after his smallholding, he is working on more local projects on Egyptian vultures, Iberian wolves and Genets. You can follow Luke’s work on Twitter, Facebook and Instagram, just search Luke Massey Images. His multimedia work can be seen on www.sunbitternmedia.com the production company he co-founded with his partner, writer, Katie Stacey. Chris has maintained a strong interest in natural history since his childhood. Brought up in central Victoria, he has a passion for woodland and wetland ecosystems, particularly birds, for which he is renowned throughout Australia as an expert. Chris has led and been actively involved in many conservation and research programs across south-eastern Australia for over 20 years. He received a Young Australian of the Year award in recognition of his commitment to box-ironbark woodland conservation and his dedicated work on threatened species. He holds a Bachelor of Applied Science and Master of Science degrees and he has authored a comprehensive book on the Wildlife of Victoria’s Box-Ironbark Country. Chris also writes for and contributes photographs to several books and magazines and presents photographic and educational seminars to wide audiences across Australia. He is an accomplished wildlife photographer – a passion that complements his professional career as an ecologist, and he has won multiple National and International awards for his images. He has previously adjudicated at National and Regional-level nature photography competitions. For the past few years, Chris has been self-employed as an independent wildlife ecologist and freelance nature photographer, currently based in north-east Victoria. Previously he has worked for both government and non-government environmental and conservation organisations.